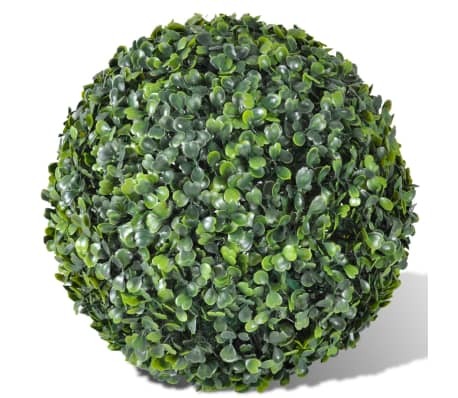 This boxwood ball set, including 2 pcs with a diameter of 35 cm, is perfect for both indoor and outdoor use. 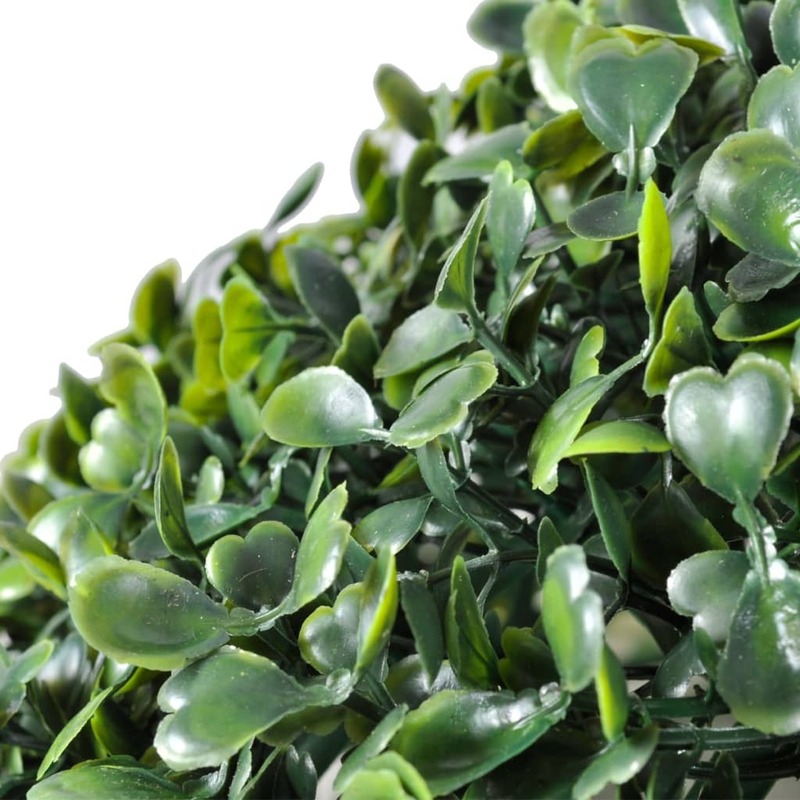 It could be placed in pots or planters, or hung up with a hanging chain. 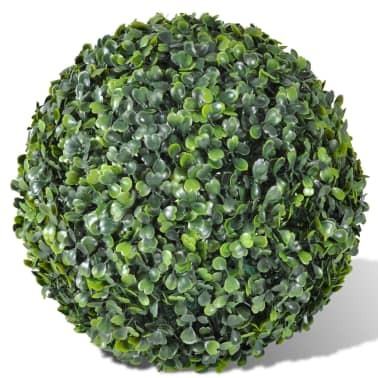 You can also decorate the balls with string light to enhance your interior home decor or improve your garden landscape. 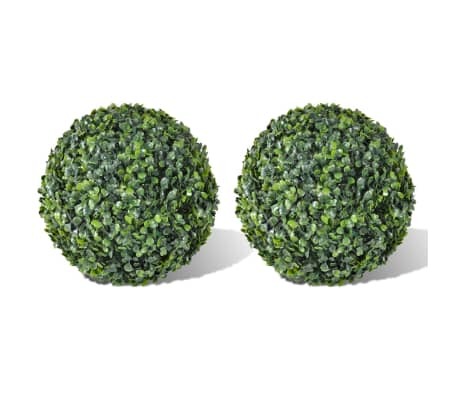 Made from high quality plastic, this boxwood box set is weather-resistant for long term outdoor use. 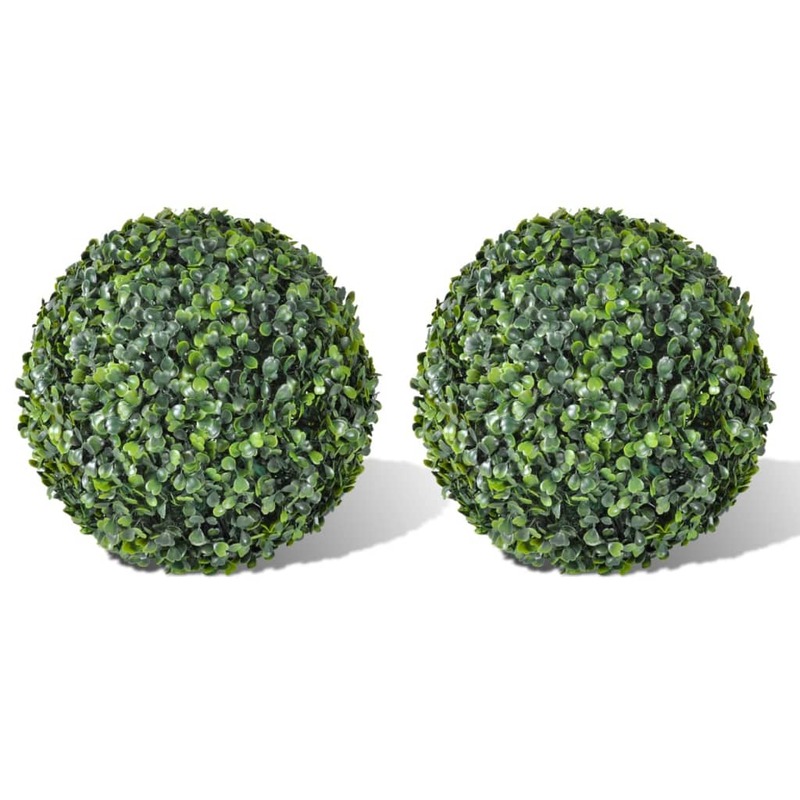 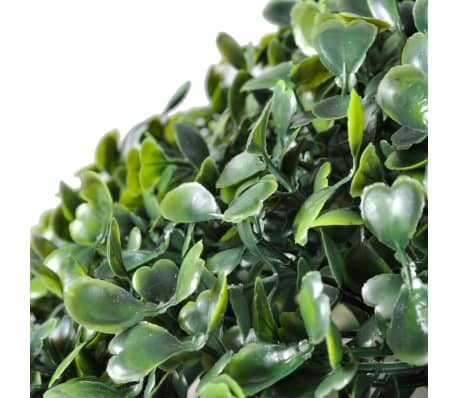 Featuring a lush mixed green colour and natural texture, the artificial boxwood balls look authentic. 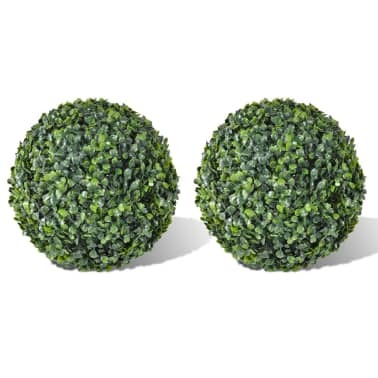 Note: 2 pcs of the boxwood balls are included in the delivery.